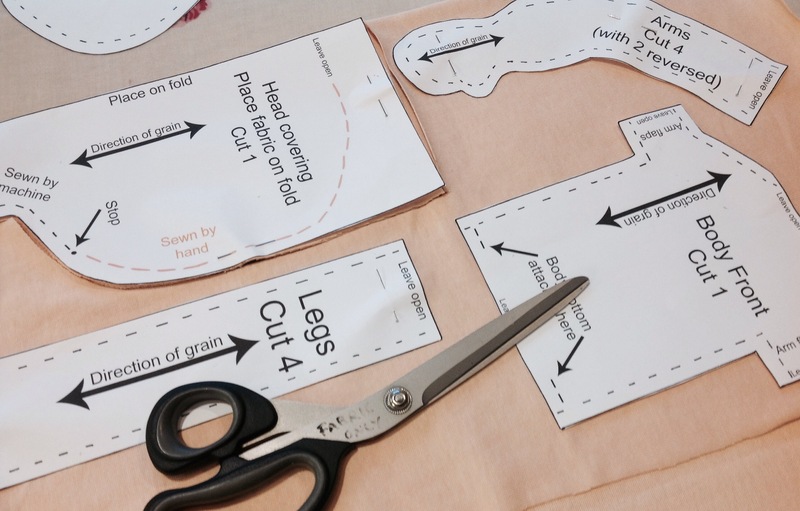 Having committed to making a doll I then had to find out more about them and work out how to make one! Searching for information led me to some great websites. 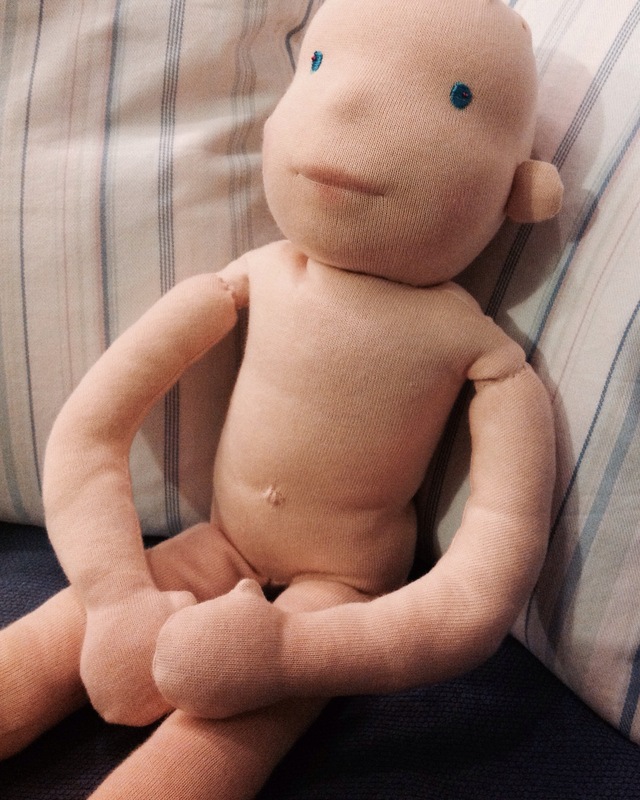 I learnt all about Waldorf dolls and the philosophy behind them from Fig and Me, a lovely doll focused blog by Fabiola, which provided me, not only with information, but also inspiration and useful links. 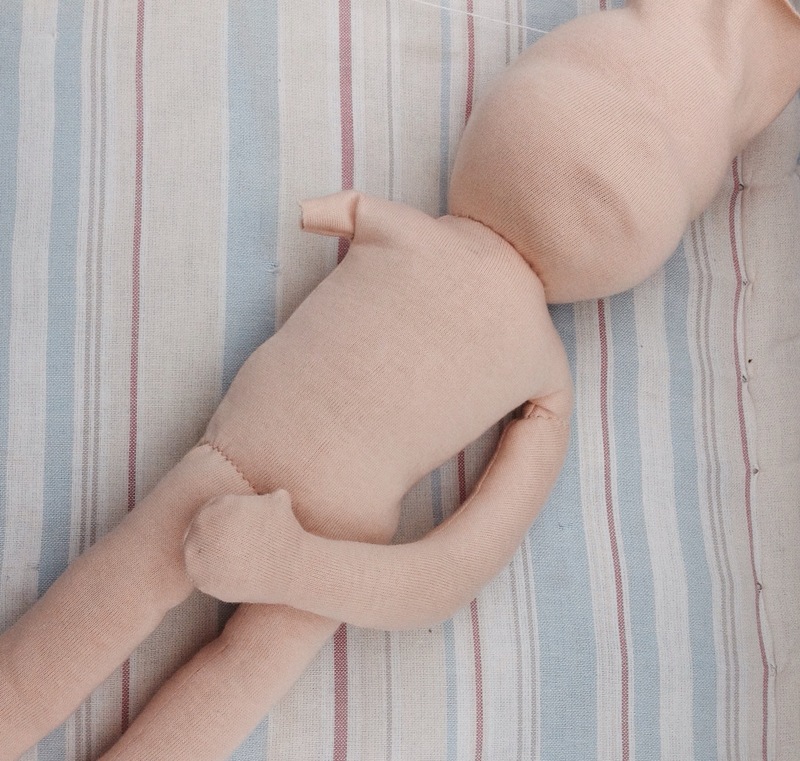 Fabiola also makes dolls and they all have a story to go with them, which is so beautiful. 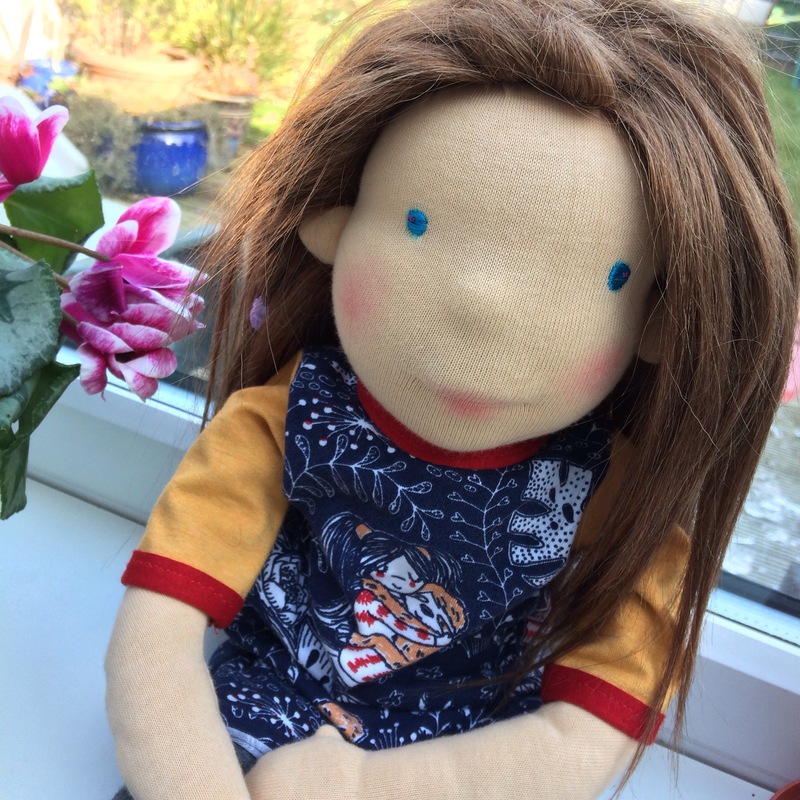 I searched Etsy for patterns and we settled on the Wildflower doll pattern by Lali doll nursery – as you can see from the images below, they have delicate features and soft kind expressions . 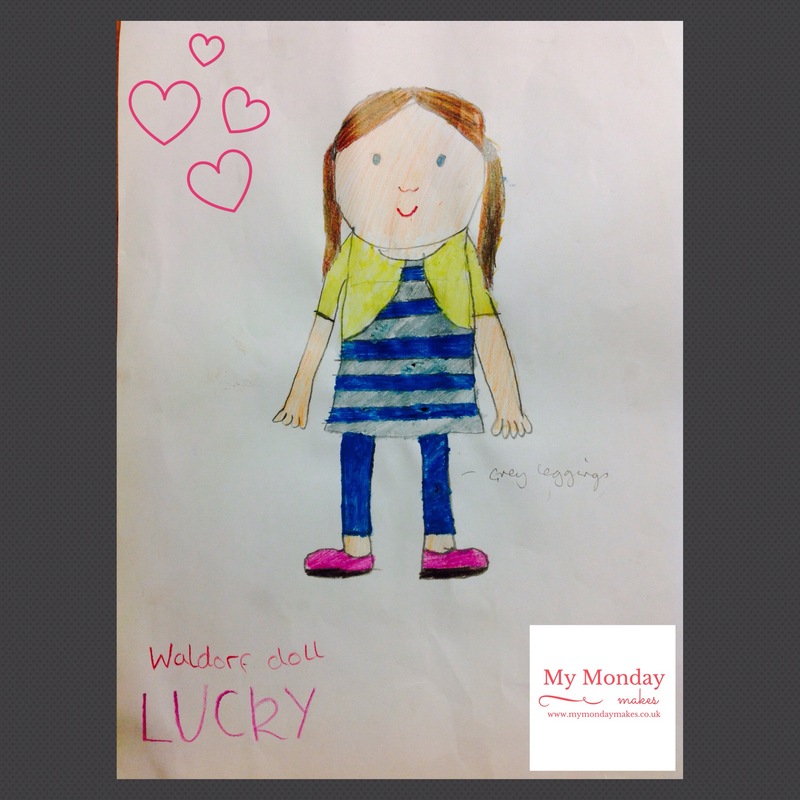 My daughter drew her design for the doll (to be named ‘Lucky’) and her outfit. 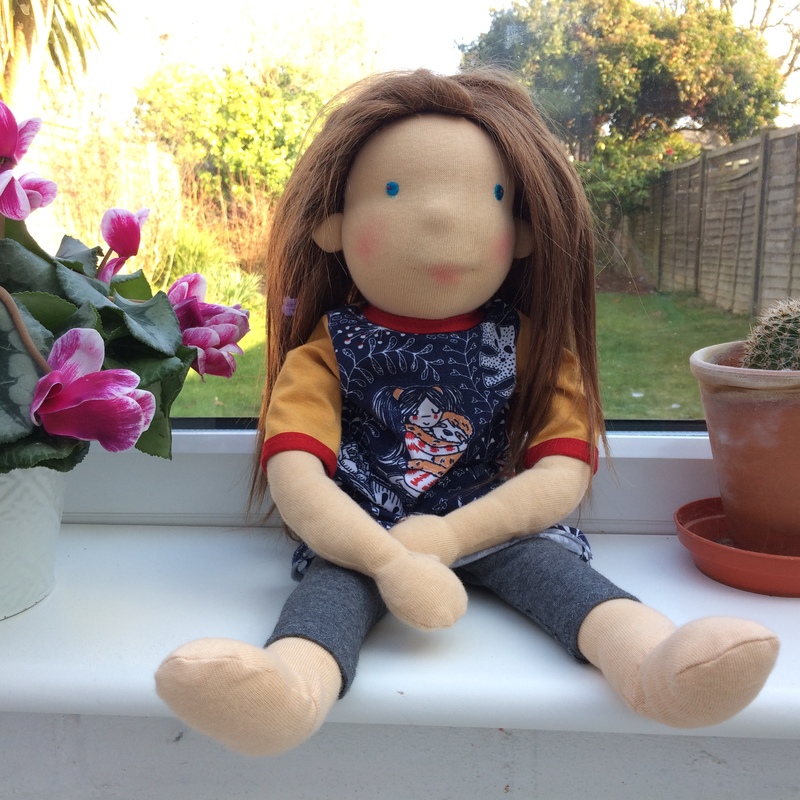 Armed with the Wildflower doll pattern I set about making my first doll, with some trepidation! All my materials were from Little Oke Dolls , an online shop in the UK which specialises in doll making supplies, which had everything I needed. 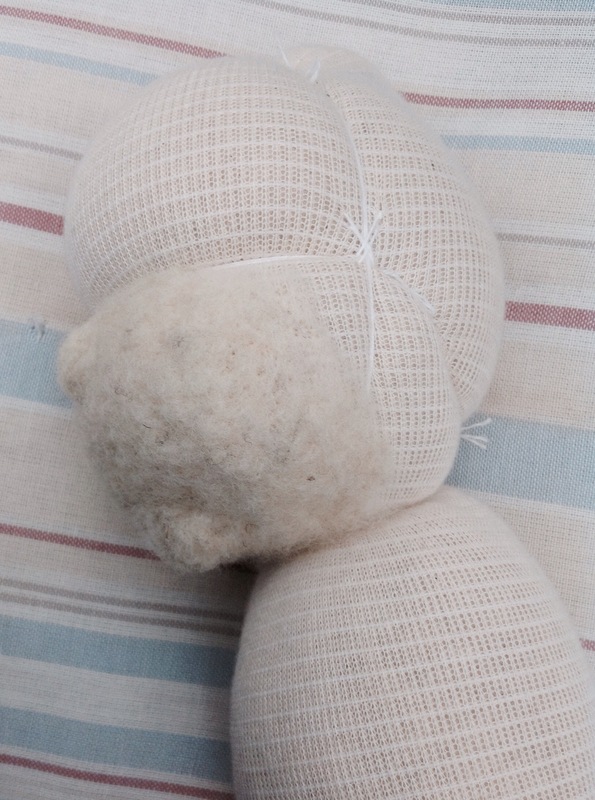 I used Swiss Tricot Laib Yala in peach for the skin fabric and natural wool for the stuffing. I also needed doll needles and tying string. I later ordered some Mohair Weft in brown and a wig cap to make the hair. 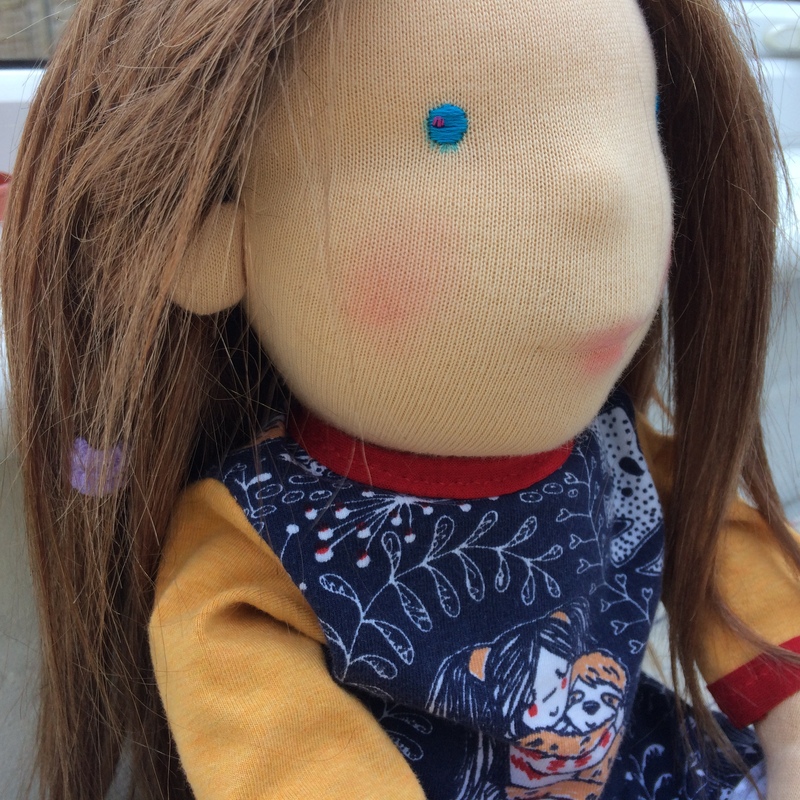 I made the doll head first, trying to get that distinctive Waldorf doll look right. It looked straightforward and the instructions were really clear with lots of photos. It took me several attempts to get a nice round shape using the wool and then I discovered that the stockinette didn’t stretch enough to fit over the top. I had to make a dash to the nearest supermarket and bought some tubular bandages instead. 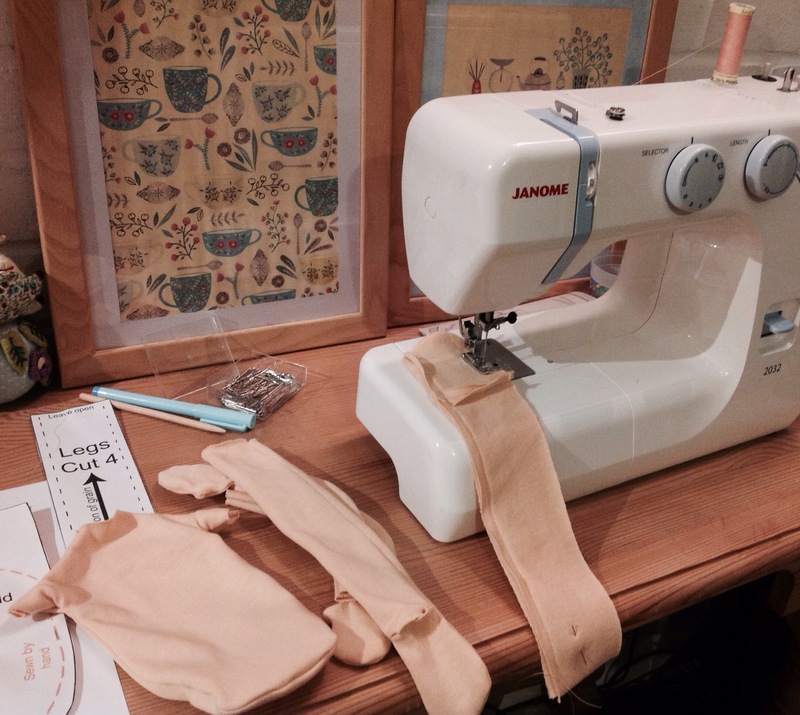 They did the trick but I ended up with a bulky knot which I had to cut out and sew up later (so Lucky started life in the operating theatre!). The features on her face are needle felted in wool – I don’t think her features turned out exactly the same as the Wildflower Doll instructions, but I guess that just adds to her uniqueness. Cutting out and sewing the body and head pieces was relatively straightforward. Lucky is only lightly stuffed which has made her body thinner than I would have liked, but I was under strict instructions from my daughter not to over stuff, as she likes all her toys to be floppy and super cuddly (at one point she was taking stuffing out faster than I could put it in, so I gave up!). The head was a bit fiddly to sew closed as it has to be nice and smooth and tight in order to show off her delicate features. I then embroidered her eyes using the vibrant blue my daughter chose and added a pink fleck. I then had to work out how to make a wig for her hair ( she wore a hat for a few days!). More research was involved, as Waldorf dolls can have hair made from a variety of different yarns or natural fibres (see the definitive guide on the Fig and Me blog). As the brief from my exacting client was very clear (long brown brushable hair) I chose to use a mohair weft and wig cap. I decided to sew the Mohair Weft by hand onto the wig cap. The result is okay, but I think I’m going to try a different method next time as she’s got a bit of a flat spot at the back of her hair where the spiral ended in the middle. If anyone knows how to avoid this please let me know! What a delightful dolly ,crafted so beautifully ,really well done . Thank you, I’m afraid I don’t make any dolls to order as I don’t have time at the moment. You’re a super star mum! I love your creation, and I am sure that your client must have been thrilled!